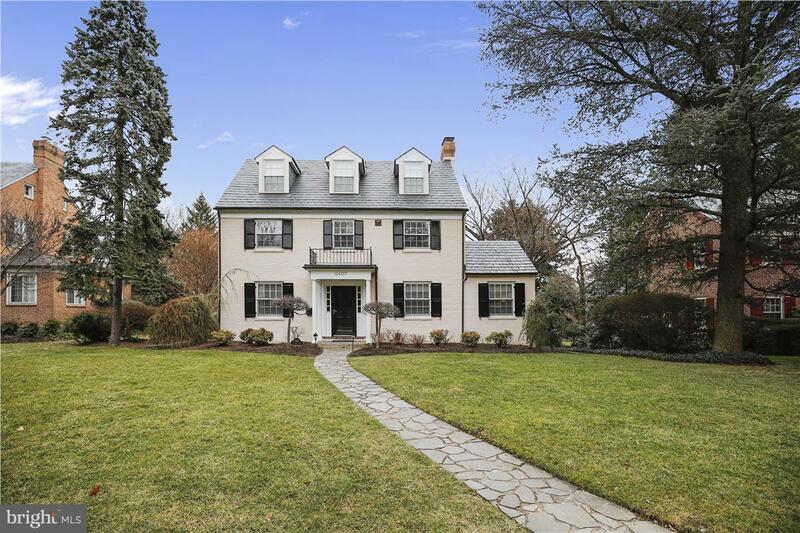 Gracious Brick Center Hall Colonial in the Heart of Homeland. Completely Updated & Tastefully Expanded 5 BR w/ 4 1/2 BA. No detail overlooked. Gourmet Kitchen w/ large Granite Island, High-end stnl appl& heated floors; Mudrm, 1st flr Office, Fin Bsmt, Ceiling Raised in LR, all Updated Baths, Repl Windows, new slate roof in '03, Extensive Hardscape & Exterior lighting. Open Sun. 2/25 12-2.